In the rural backcountry of Northeastern Portugal lies Castelo Rodrigo, a tiny village that any person will be delighted to visit and enjoy. It sits on a hilltop and offers spectacular views over the surrounding land. Land that has been dominated by man since millennia, but where wildlife is now beginning to come back. 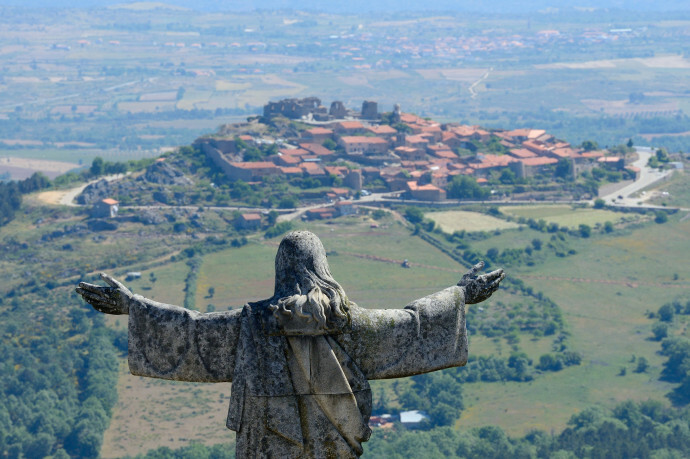 Castelo Rodrigo village, Portugal, with the statue of Christ redentor in front. The Mediterranean landscape around here is rough, rocky and greenish, with the few fertile lands dominated by olive and almond tree groves, grain fields and vineyards. While in the hills, along the river banks and in the terrain that is too stony to farm, nature here has been coming back. The sheep grazing has all but disappeared and many people have left the poor farming life for the towns and cities, instead providing space for natural oak forest and wild grasslands to come back, creating new corridors and living space for wildlife. Côa Valley, Western Iberia rewilding area, Portugal. Castelo Rodrigo, is known as one of the twelve Historical Villages of Portugal, where every street corner or narrow passage reveals the story of those who lived there over the centuries. Ana Berliner and António Monteiro, both biologists coming from Lisbon, decided to stay and live here. The village was almost completely abandoned when Ana and her husband Antonio decided to take over a couple of old ruins and renovate them into an elegant, comfortable and guest-house, the Casa da Cisterna. Today it is one of Europe’s finest B&B’s. Fourteen years ago they also began, together with some good friends and colleagues, to establish the first private protected area in the country – the Faia Brava Reserve – owned and managed by an NGO, Associação Transumância e Natureza (ATN). 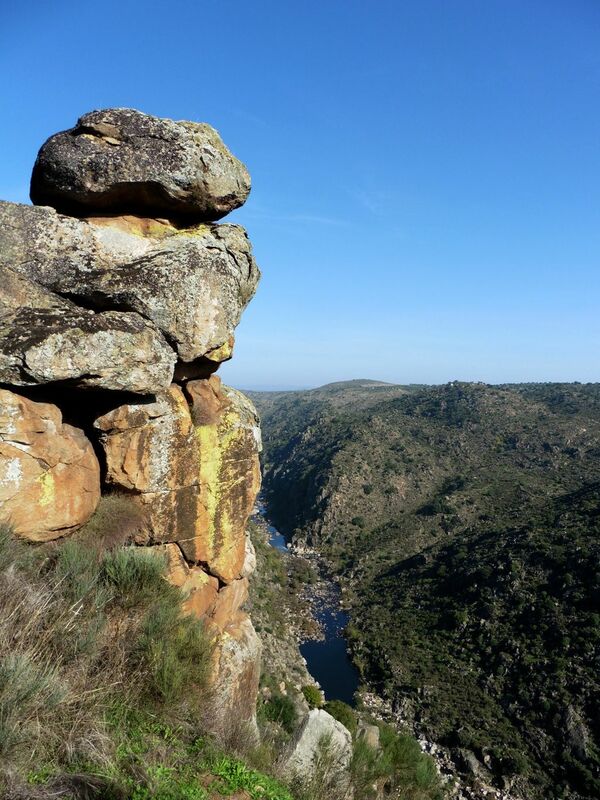 The region is crossed by three rivers (Côa, Douro and Águeda) that has carved deep cliffs and created amazing sites for large cliff-breeding birds like eagles, vultures and storks. Located along the Côa River, Faia Brava has also become part of the Western Iberia rewilding area, where apart from several species of vultures and eagles, natural grazing with large herbivores has begun to develop and there are clear plans also to reintroduce several missing wildlife species, like the red deer and the Iberian ibex. It is already also a breeding site for the Tauros project, aiming to bring back an ecologically functional and wild-living version of the aurochs. That has started off here with the ancient cattle breed Maronesa. Also the wild horse has been brought back, beginning with the ancient Portuguese breed Garrano. 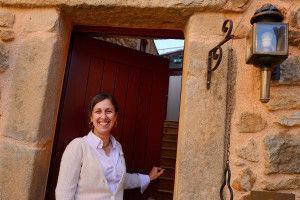 Anna arranges trips for her guests to visit the Faia Brava reserve for those who want, and she is also a certified archaeological guide to show people around in the Côa Valley Archaeological Park. Last year, with the support of Rewilding Europe Capital (REC), the specialist financing division of Rewilding Europe, Ana had another neighbouring house renovated, now being able to offer to the visitor no less than eleven bedrooms, where tradition, elegant design and modern function come together. This was the first of all REC loans and it has already been proven a success. – “This year the occupation rate for visitors from Central Europe increased 35%”, says Ana. 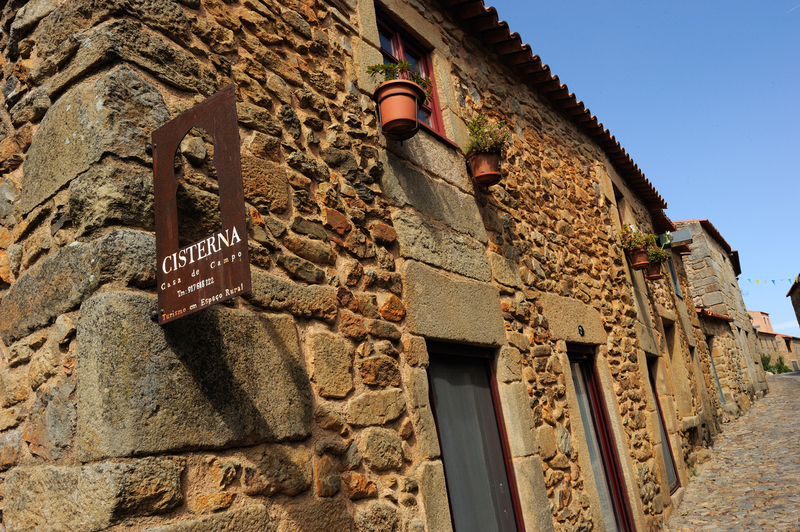 “Casa da Cisterna is very well located, placed at the heart of a historical village and surrounded by an incredible landscape. It is perfect for those who are looking for natural experiences, quietness and some exclusivity”, she continues. Looking forward, she aims to increase the number of guests, while keeping on providing them with unique, top quality experiences, also on the gastronomic front. During spring and summer, meals are served on the terrace, with the Côa Valley as a background view. One can opt for a refreshing dip in the swimming pool or for an outdoor activity such as a walk with donkeys, a guided tour to natural areas or a visit to the Côa Valley Archaeological Park, an open-air archaeological site with more than 2,000 rock carvings from the Paleolithic era. It is unique in Europe and listed as a UNESCO World Heritage Site. The four most important and common motifs of the carvings are aurochs, wild horse, Iberian ibex and red deer, telling a very clear story of the wildlife that once lived here and that could also come back here. It is even written in rock! “Thank you for creating such a fantastic and charming place”, wrote Charlotte, a guest from Belgium who stayed at Casa da Cisterna last summer. One of the countless compliments Casa Cisterna has received over the years. 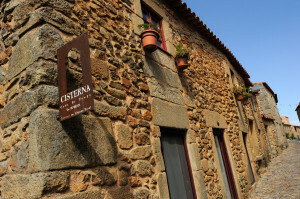 A stay in Casa da Cisterna is included in the five-day trip “Discover Wild Portugal”, together with visits to the Faia Brava Reserve and unforgettable stone age moments in the Côa Valley Archaeological Park, It is also the Grand Prize (for two) in the December draw of the Rewilding Europe Travel Club, to be drawn in December. If you are not yet a member, it is strongly suggested to become one!